So damn good you won’t miss the sound of a gasoline engine. It’s the dawn of a new era for the modern automobile and if that makes you afraid for our kind, our breed thats sees more than a confusing box of bolts accompanying people from A to B when they look at a car, cast your worries to the wind because that fear is nonsense. If the Porsche Mission E didn't rial up your vehicular appetite and make you excited for electric cars, then maybe David Olivares’ latest rendering will do the trick. The Mexican artist took promises to electrify BMW’s crop of M cars seriously. Instead of cry about it (like we nearly did), he sketched up this angry-looking juice rocket. We say juice because it’s powered exclusively by electric motors and looks as if it’s ready to singlehandedly consume any competitor that comes its way. 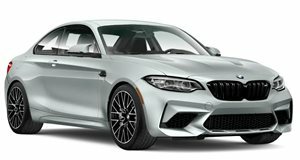 Despite its appearance, the result of what would happen if the BMW M2 and i8 had a baby, the iM2’s real emphasis is on fun. Think of it as a Mazda MX-5 except that it has full torque available from zero RPM and up. Fun may sound like a futile pursuit, but there’s a good reason for this car. Tesla built the Model S to show that electric cars can be stylish and versatile and then Rimac came along with the Concept_One to prove hypercar performance could be supplied by electric cars. The job of the iM2 is to get the enthusiasts on board with the transition because at the end of the day, none of us horsepower lovers will complain behind the wheel of a car that plasters a perpetual smile onto our faces. “The iM2 is a car made for the future driving aficionado. It bonds the user and the machine by providing him a raw control of the vehicle. This series hopes to fill the gaps between the current BMW series. It sacrifices luxury, top speed, and range to achieve great acceleration, balance, and competitive price,” reads Olivares’ write-up. Aside from building hybrid M cars, nobody knows how BMW will begin the EV revolution, but we can rest a little easier thanks to Olivares' imagination.